Have you checked out our newest glove yet? 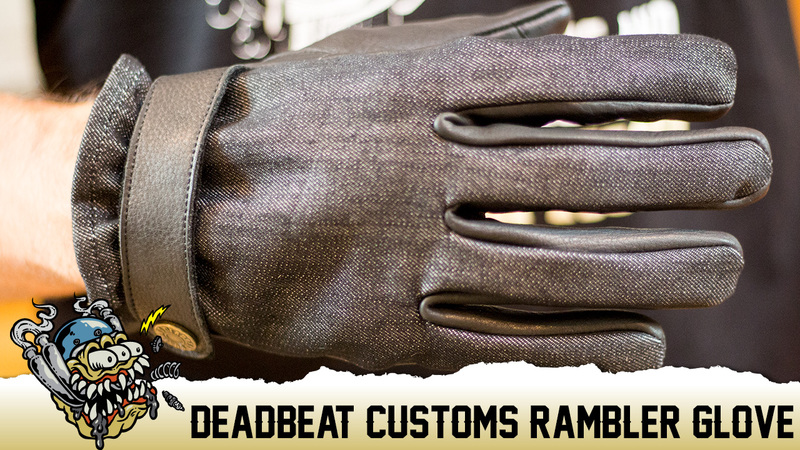 The Rambler Glove mixes denim and leather into our traditional two toned styling. The glove is made from black leather cowhide and backed with 10 oz. denim that has soft fleece backing. It also features Touch Tech thumb and index fingers. The black leather strap with Bronze Deadbeat Customs button and red Deadbeat hang tab add extra style points to the Rambler.